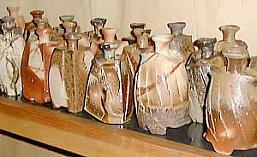 No one pottery center has more potters than that of Bizen in Okayama prefecture; at last tally the count came in close to six hundred! Yet for all the big numbers not much innovative work is getting done. 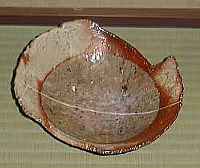 Most Bizen pots are pure copies of Momoyama period or earlier designs. Now I'm not saying that's bad, for in these days of constant change it is grounding to have things that stand the test of time and allow us to share in the pleasures of tradition. Yet SIX HUNDRED doing basically the same thing can become a bit tedious. Which is why it's so nice to have Kakurezaki Ryuichi (1950) around. And around is quite an understatement. His exhibitions, which are highly anticipated, sell out in hours and people have been known to camp out in order to get one of his works. I had the pleasure a few weeks ago to spend some time at his studio and take a few photos. As you'll see his work is totally original. I believe that in a hundred years or so his work will be referred to as Heisei Bizen in direct contrast to the Momoyama Bizen which reigns supreme even after four hundred years. 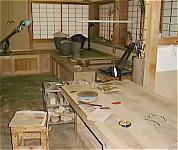 Kakurezaki has a very traditional workshop which has a pleasant wooden interior and a hard dirt floor. He had some pieces drying in the racks including large plates which were being given a wavy appearance from being pressed between two weighted boards. He uses traditional tools when working which is usually late at night; he has too many visitors and calls. Across the way is a clay processing room, drying room, and just around the corner the first of his three kilns, a noborigama kiln. Two anagama are located on the other side of his property.  When I visited I noticed a new style he's been exploring which is termed nerikomi or a marbled clay. He had some fabulous dishes that had flared jagged edges and some hidasuki flashes and a botomochi like center. Botomochi is a style in Bizen where the potter will place a small 'cracker' on the plate so the flame doesn't touch it and it fires with a round clay medallion. I'm sure that when Kakurezaki exhibits these new plates they're going to be a big hit; no doubt, Japanese food will look fantastic on them! A double treat was that I spent the day there with my visiting parents and they too were equally impressed with the quality and vitality of his work. We were shown his secret storeroom which I would describe as more of a treasure house. Works dating back to his beginnings in the mid-eighties up to his recent firings. Flowing mizusashi, breathtaking yunomi, and a diverse range of tokkuri -- I was like a kid in a candy store! The day ended all too fast, but the memories, and photos, linger. I did write a cover story on Kakurezaki in issue 33 of Ceramics Art and Perception for those interested. And now I shall imbibe in a little sake from a guinomi that found me that day. Kampai to life and the Year of the Snake!